Silver is a safe investment with a high growth potential. With a lower price point, silver is much more accessible than gold and it’s often where silver and gold investors start. Silver bars are the most commonly used form of silver for investors. They have lower premiums per ounce than silver coins. 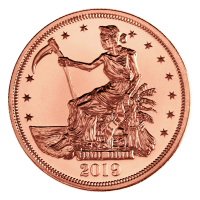 The money you pay is closer to spot since you save on premiums charged for minting coins. Silver bars are cheaper to produce and come in higher weights, making it an ideal investment metal. Silver bars are commonly refined by private sources. You can find Royal Canadian Mint silver bars or silver bars made by the Perth Mint, but the majority of silver bars available for purchase are privately refined. Major silver brands include Engelhard, Geiger, Valcambi, and Sunshine Minting. With the exception of popular out-of-production brands like Engelhard, the logo on your silver bar isn’t nearly as important as the purity and weight. Silver bullion should always have a .999 purity. Successful silver investment is about improving your ROI and that means keeping premiums to a minimum. 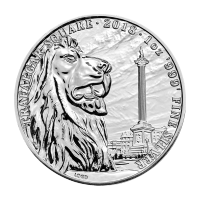 Buy silver online from a silver dealer to keep your costs over spot low. There are plenty of ways to save when you buy silver from Silver Gold Bull. 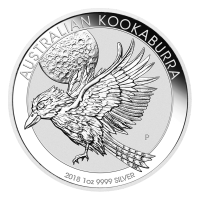 The first place to look is our silver top picks where you can find some of our best-selling silver bar and silver coin products. You can also save when you buy silver by checking out our deal zone for new specials on silver bars. There are also cash discounts on your purchases when you pay with a wire transfer, cheque, money order, Interac online or Interac e-Transfer, or when you buy silver with Bitcoin. Did you know that you can make silver investments part of your RRSP? Silver bullion provides a valuable counterweight to riskier portfolio investments like stocks. The amount of silver you should include in your RRSP depends on factors like your investment goals and how close you are to retirement. Silver has incredible growth potential, but part of your investing in silver is a strategy that also preserves your savings against inflation and market risks, so that your savings are there when you need them. Silver comes come in a variety of sizes and the larger the quantity of silver you buy, the lower the premium. 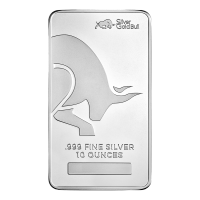 You can buy 1 oz silver bars, 5 oz silver bars, 10 oz silver bars10 oz silver bars, KG silver bars, 100 oz silver bars, or even larger sizes on demand. 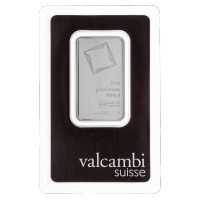 You also get greater discounts buying larger quantities of the same size silver bar. 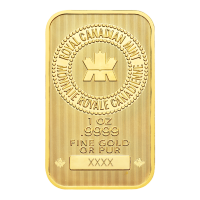 Limited quantities of silver bars are minted by the Royal Canadian Mint. Many investors who buy silver from national mints like the RCM or the Perth Mint do so for the added security of a government-produced silver bar. 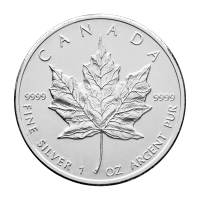 The Royal Canadian Mint is known for high-quality refining and security, but you should have nothing to worry about when you buy silver from a reputable silver dealer. Industrial demand for silver is high and production can’t keep up. There is growing pressure on the silver price and market watchers expect the price to catch up. 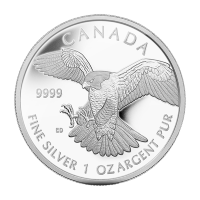 If you’re interested in silver investments, follow silver prices in Canadian dollars on our silver price chart. In addition to selling silver, we also buy silver when you’re ready to turn your investment into cash. Silver Gold Bull is one of the best places to sell silver thanks to our easy buyback process. You can also swap precious metals, such as trading gold for silver bars or changing silver coins to silver rounds. Investing in silver is a great way to diversify your portfolio and protect your savings.